Vulcan Catering Equipment has recently completed an extensive refurbishment of The Bull Run restaurant in Gauteng. This well-established steakhouse, located opposite the Johannesburg Stock Exchange and a short walk from the Sandton CBD, has built an excellent reputation and a loyal following since it opened in 2000. Vulcan was selected to bring its high-end kitchen design and equipment expertise to the redesign of The Bull Run’s kitchen. The client’s broad brief was the redesign of the kitchen according to the chef’s requirements, the installation of the latest kitchen technology and the introduction of a new area to be known as the Dollar Bar. Vulcan needed to preserve the restaurant’s ambience while opening up the kitchen to diners, giving them a taste of the excitement and drama of the “food theatre” experience. All changes had to take place within the existing building envelope. As no previous design plans were available, once the site had been stripped, the Vulcan team re-measured the area to ensure that the envisaged design would be a perfect fit. At the heart of the new kitchen area Vulcan installed a large cooking island – the Berto’s S900 series cooking suite imported from Italy. This master cooking suite offers a solid range of features and functionalities. Its three lava rock grillers ensure excellent heat retention as does its flat top griller. Its French top is made of heavy flat cast iron with a high-powered gas burner underneath, and it has an electric oven as well as bain-maries for sauce holding. Other equipment features included the Rational Combimaster, with its highly effective performance capabilities as well as its impressive cost/benefit feature, the oven is a coveted piece of equipment. In addition, because The Bull Run is renowned for its steaks, the product of a finely tuned, in-house dry-ageing process, a custom-designed cold room was installed. The Bull Run needed to meet stringent health and safety regulations. With this in mind, the ANSUL ® R-102 Restaurant Fire Suppression System was installed for optimum safety. 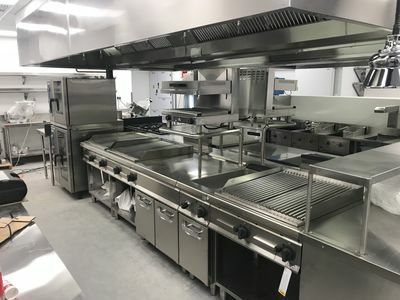 This highly regarded fire suppression solution, which is used in food service kitchens worldwide, quickly knocks down flames and cools hot surfaces while generating a tough vapour-securing blanket that helps prevent reflash. 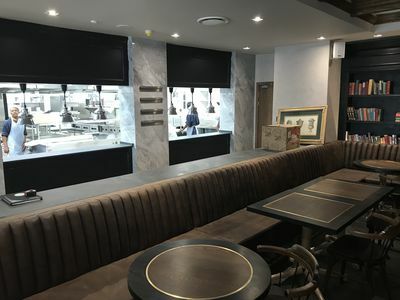 Vulcan’s highly successful completion of the project has secured The Bull Run’s positioning as a fine dining establishment with a world-class kitchen.